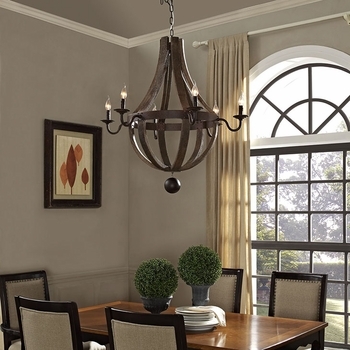 Lay siege on your surroundings with the ancient Ballista Chandelier. Inspired by medieval weaponry, Ballista is made of solid hardwood with a distressed effect that symbolizes the interplay between attrition and luminous victory. Constructed with a solid steel frame, Ballista fits six bulbs and comes with a hanging steel ball that adds a touch of abeyance to this otherwise momentum-filled piece. 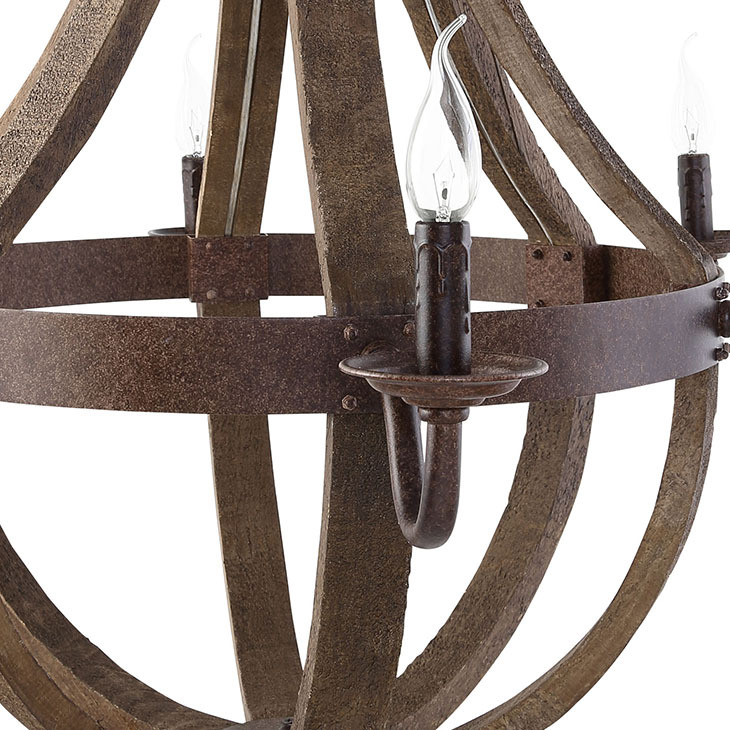 The Ballista Chandelier works well in rustic, ranch, industrial modern, and vintage modern dwellings.